very time I come back to the Ol’ Bean I feel less and less inclined to go out to downtown bars, walk along Newbury Street, or get ice cream from J.P. Licks. Although doing those typical sightseeing activities are usually fun for me in a new city, I can safely say as a 3-year post-grad that those parts of Boston and I are well-acquainted now. Thankfully, now I stay with my local friend Patrick who takes me to the city’s gems that have little to no tourists. I’ve learned that no matter how much Yelping you do, nothing is ever as good as a review from a local who shares your similar interests and lifestyle. Travel Tip: If you’re bouncing around Boston you should probably get a T-pass or Charlie card. I have an old Charlie card that I’ve held onto for years and can add money onto for the weekend. It’s easier to have if you plan on visiting Boston as frequently as I do. With the Charlie card, you can tap-n-go through the T’s turnstiles. The first thing I want to do is unwind after driving through hours of traffic. 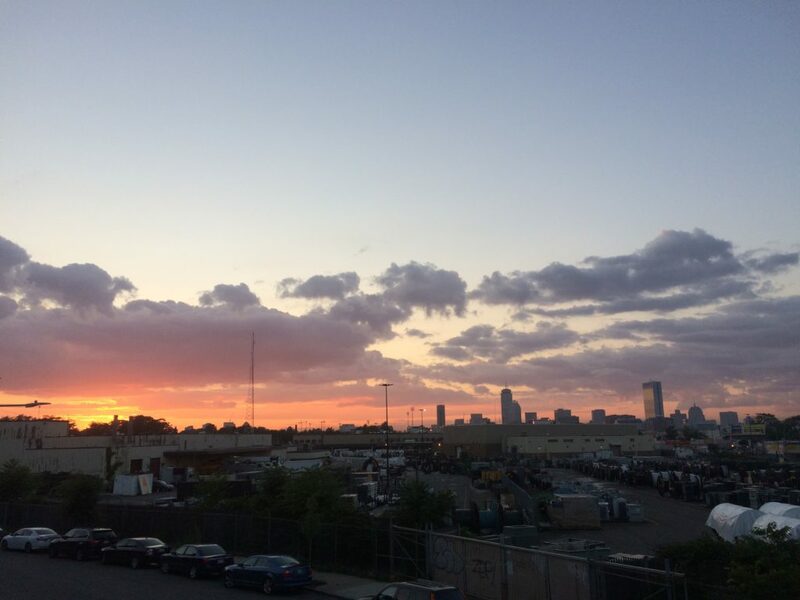 If you’re into that kind of thing, South Boston Yoga’s got a ton of all-level classes throughout the day to help you check into your zone. In addition to its zen atmosphere and spacious warehouse-ceiling rooms, it’s conveniently located off of the T stop. In 2014, this outdoor mall began its development in Somerville, MA and is approximately 10 minutes on the T-stop from downtown Boston. It has a ton of retail stores and restaurants for those of you who enjoy simultaneously strolling and treating yourself. 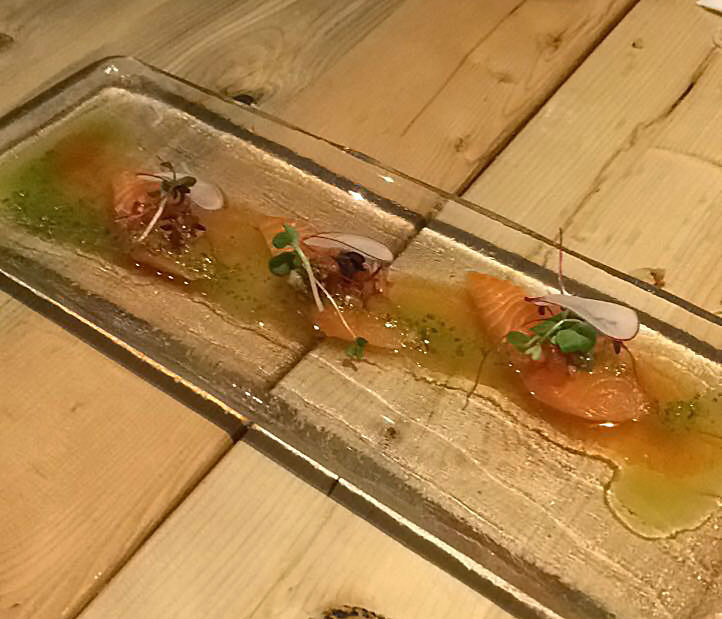 For dinner I met up with a friend at a newly opened restaurant chain called Fuji at Assembly for some Japanese/Chinese contemporary fusion. 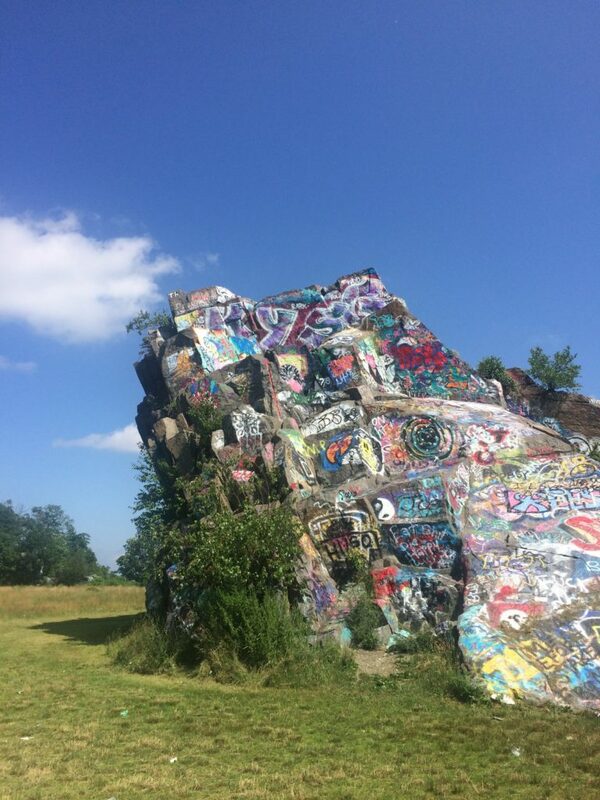 If you want a mixture of peaceful nature and colorful graffiti, the Quincy Quarries is where you need to go. People spotted here: French rock climbers, hikers, an old married couple from the neighborhood getting fresh air on a sunny day, a squad of friends making a music video equipped with professional gear, picnickers, and me in open toed shoes with an iced coffee. (Warning: don’t wear open toed shoes here. 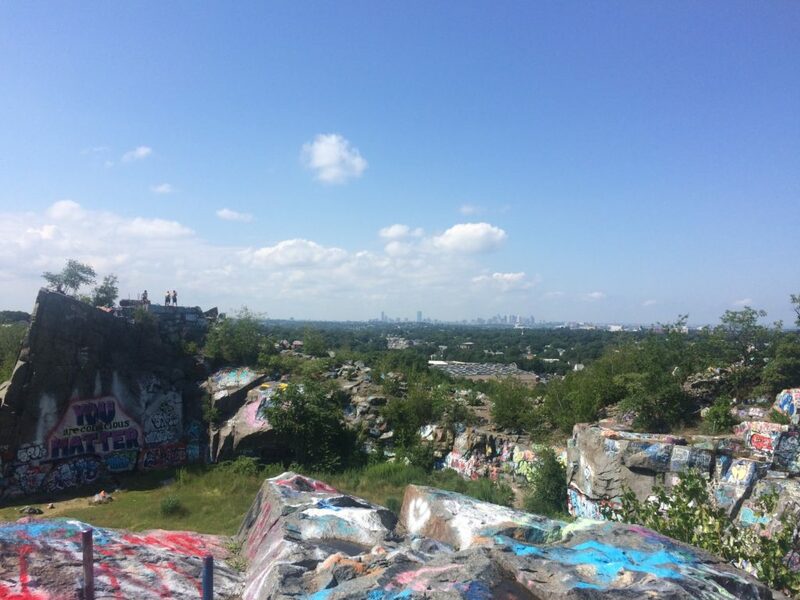 There’s lots of broken glass on the ground) If you like to do a little hiking, you should go all the way to the top of the quarries where you can view the Boston skyline through the trees and suburbs of the greater Boston area. The Harborwalk connects Southie and Dorchester along a beautiful newly renovated walkway. Not only do you get an amazing view from every perspective, but on a beautiful sunny day Harbor Point is amazing for lounging with its beach, park, gazebos, and plenty of seating areas. 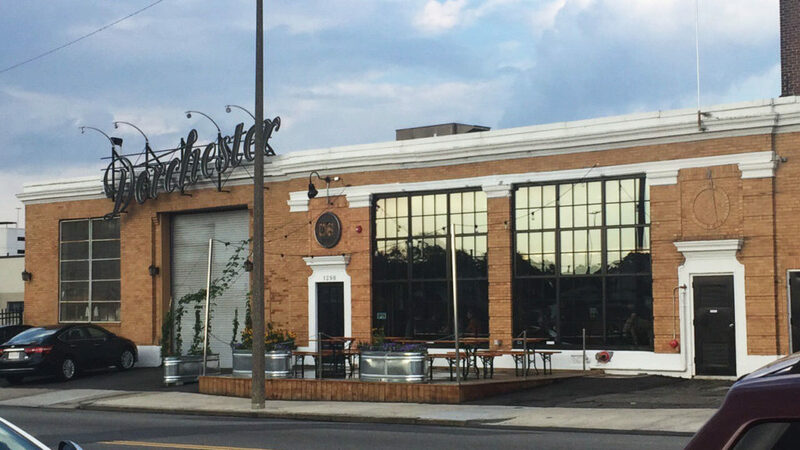 As Boston neighborhoods like Dorchester are becoming more gentrified, the demand for places that cater to the yuppie lifestyle is also increasing. New American restaurants taking over local diners, bars that claim you need to be on the list, you name it… Unlike these eye-rolling joints, DBCo isn’t trying so hard to be cool. It just is. If you need a break, come kick it here. Chill out on communal tables while playing games like Cards Against Humanity, and sample delicious brews of all kinds. 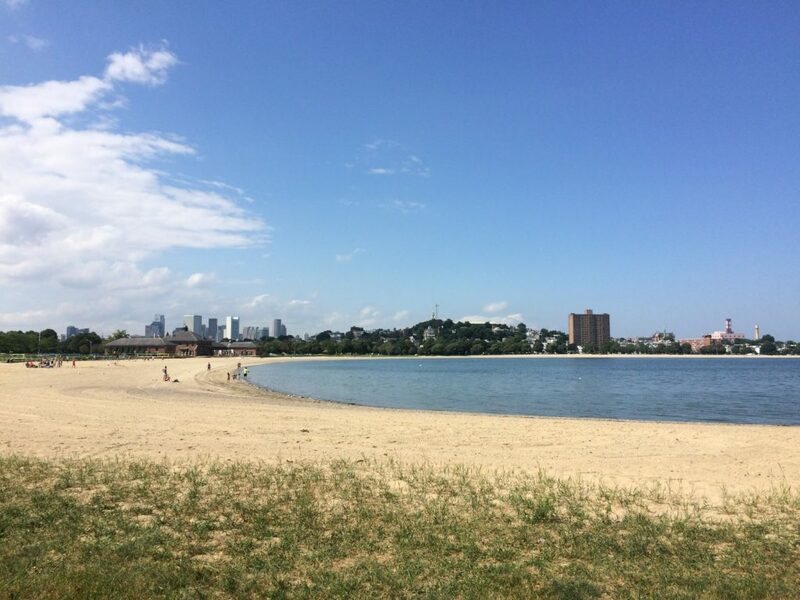 Do you have any unconventional stops on your list when visiting Boston? Comment below!